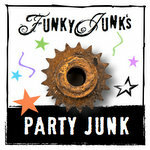 Welcome to Party Junk 267 – a salvaged junk link party! So glad to have you back once again to party with all of us! When I first saw this gorgeous project, I thought this was a vintage glass mixing bowl. I couldn’t have been more wrong. This is gorgeous! 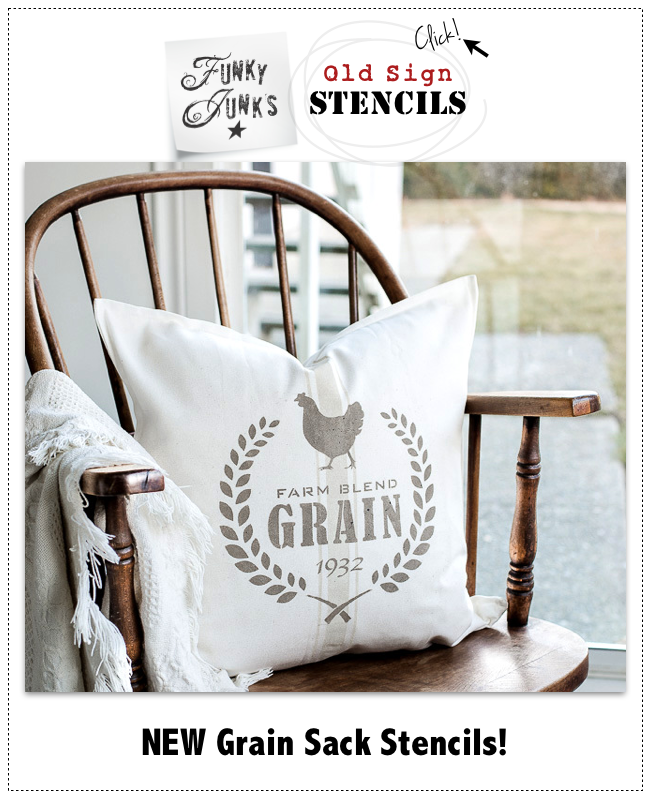 So smitten by rustic graphics and all beans coffee bean sacks anyway, I was blown away by this amazing outcome. I love the chalkboard top too… and that carpet! Perfection right here. 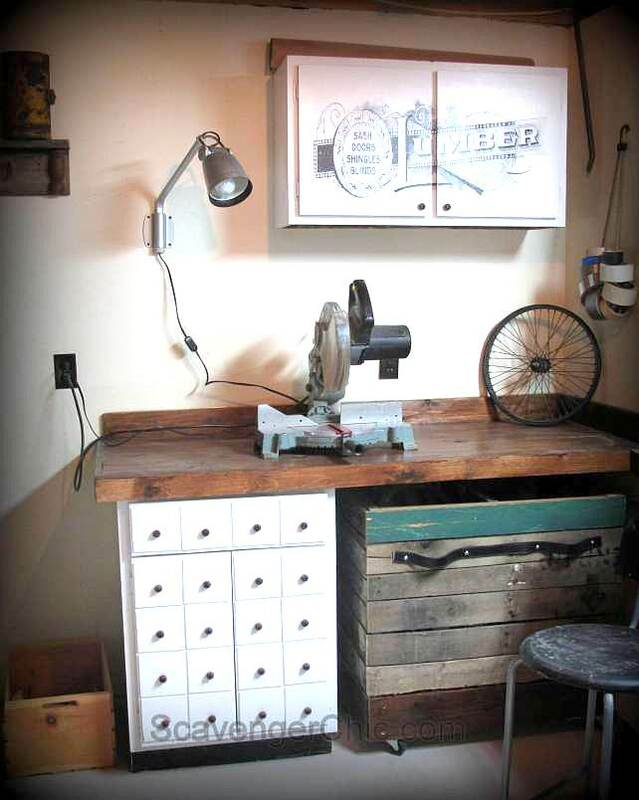 Isn’t this the coolest vintage cupboard ever? Anne has fooled you! The before was a brand new wardrobe that looked nothing like this. Visit this link to find out her neat planked look cheat! Love this. Would also look fab on any close or interior door. Joan has been rockin’ her workshop lately. You need to see this before. So much has transpired… the white cupboard, the pull out bin, the lettered cupboard, the wood top… take the tour, you’ll love it! 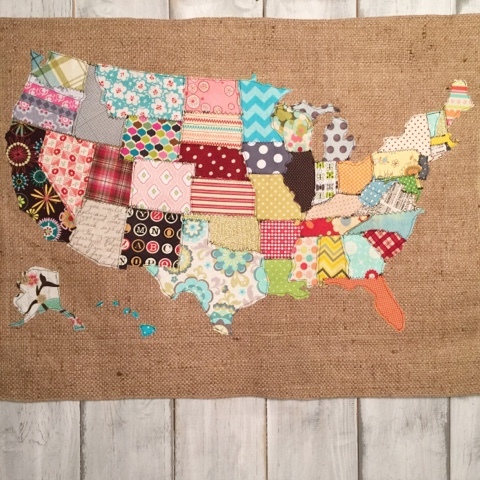 When I saw Missy working on this fabric map on Facebook, I squealed. 🙂 This girl is a master sewer, but this? It’s a masterpiece. A patriotic take that goes with everyday decor. Fabulous! 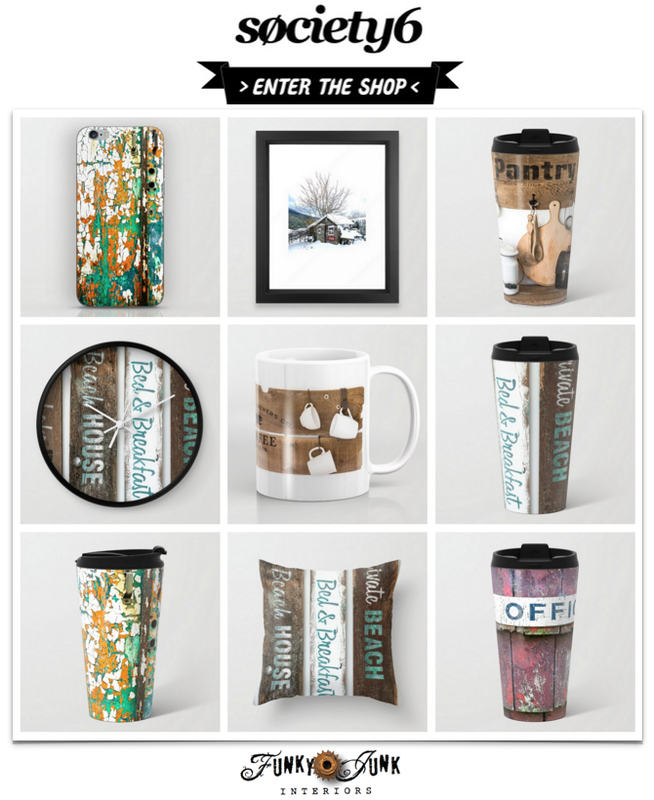 Lovin’ all the creativity going on at Party Junk, Donna, and thank you so much for including my coffee sack cabinet in the features this week!! Such AWESOME features! Very inspiring. Thanks for hosting! Super features thanks for hosting! 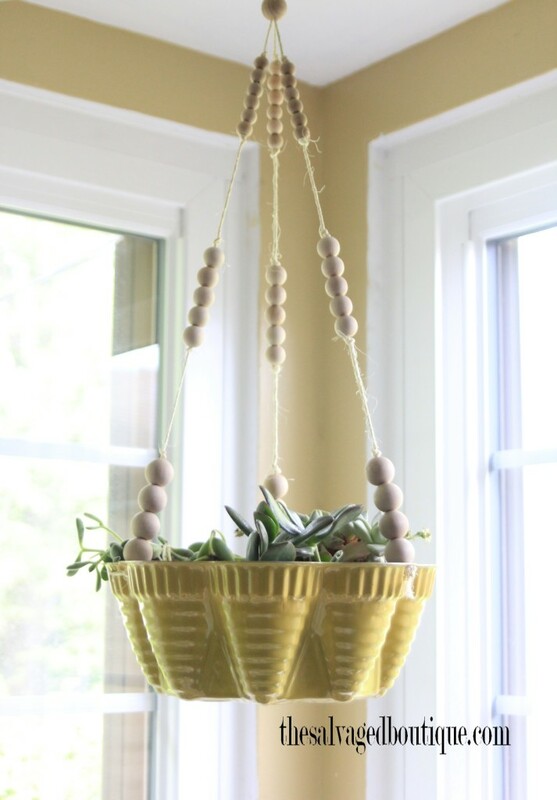 Thank you for featuring our Upcycled hanging planter! 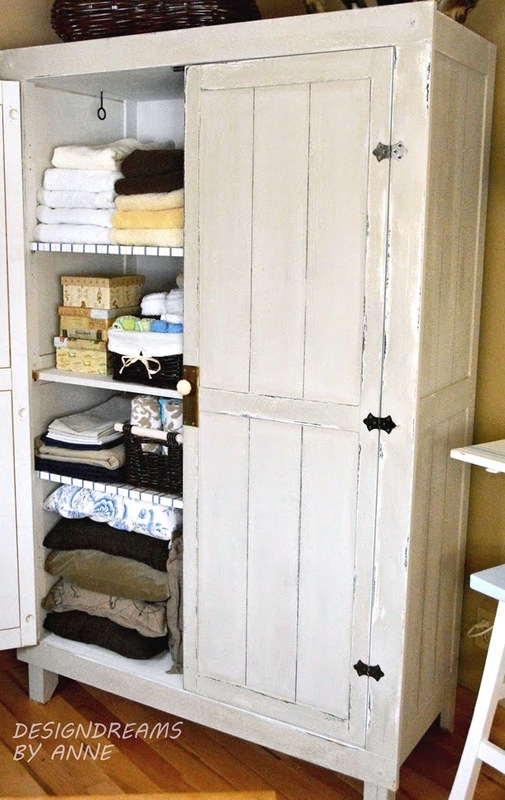 And for hosting again… this week we’re sharing an upcylced dresser. Absolutely totally inspired by today’s projects! 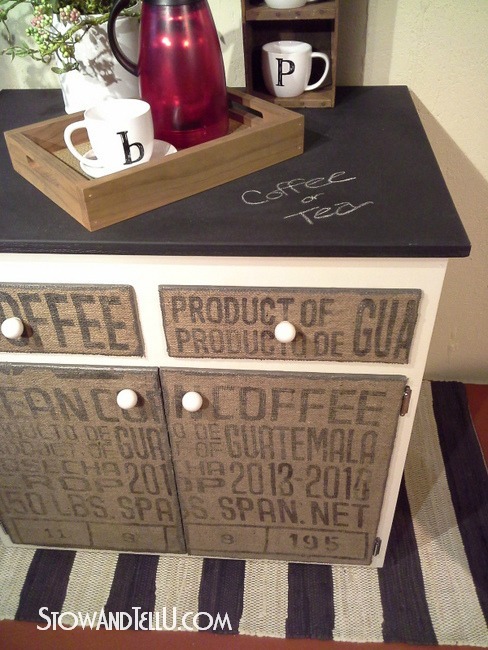 I’m on the hunt for a cabinet and coffee bean sacks ~ the perfect solution for my two favorite things! Thanks for sharing! 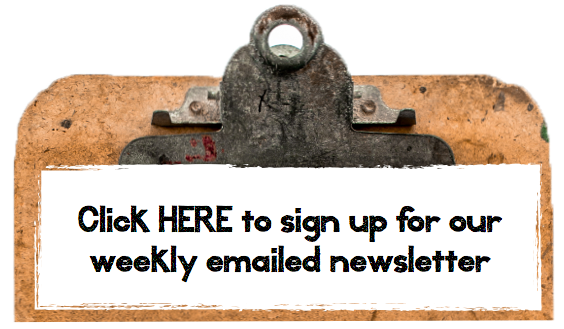 What a great roundup of features Donna! and thank you for including my project, too! I love every single feature this week, Donna! Thanks a bunch for hosting! 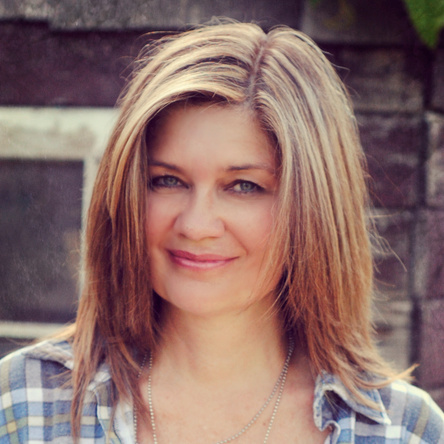 Donna – I love to stalk your blog. You have such a unique style that I admire. 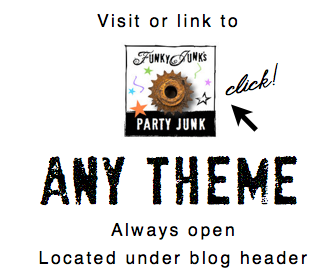 Thank you for hosting this party and joining together like minds!